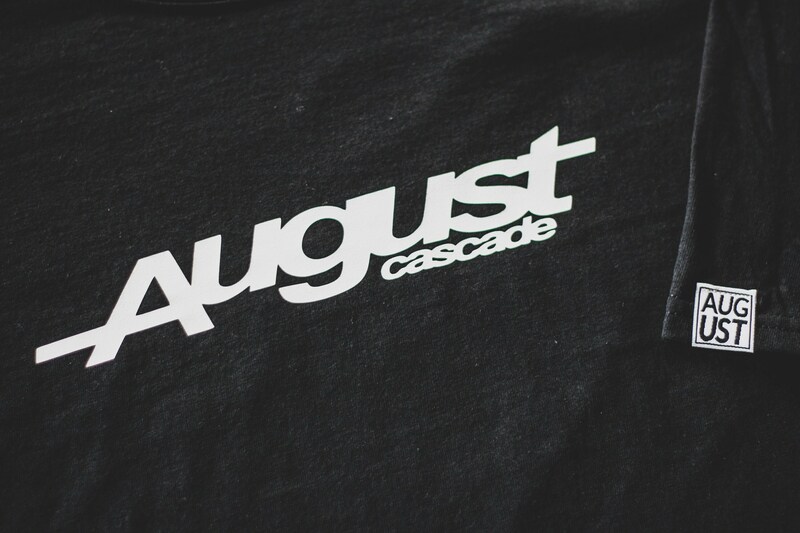 “Original" AugustCascade Logo Tee. 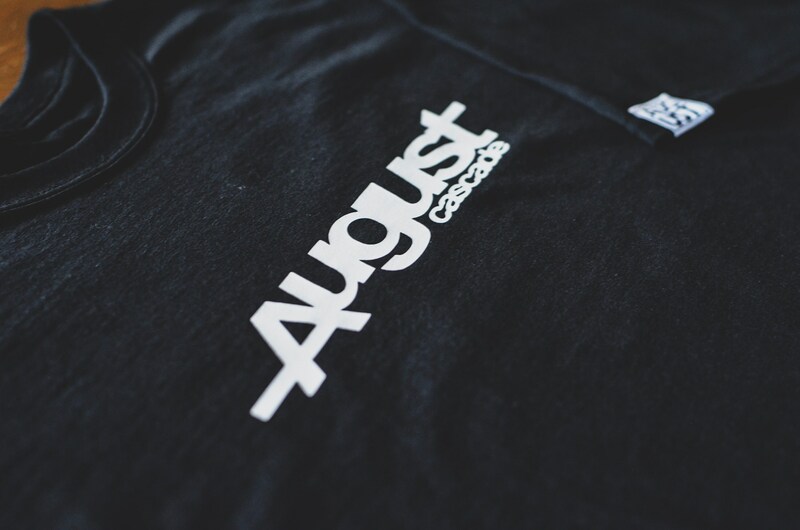 This shirt features the logo in white on a black tshirt ,and also has the signature "AUGUST" woven tag sewn on the sleeve. 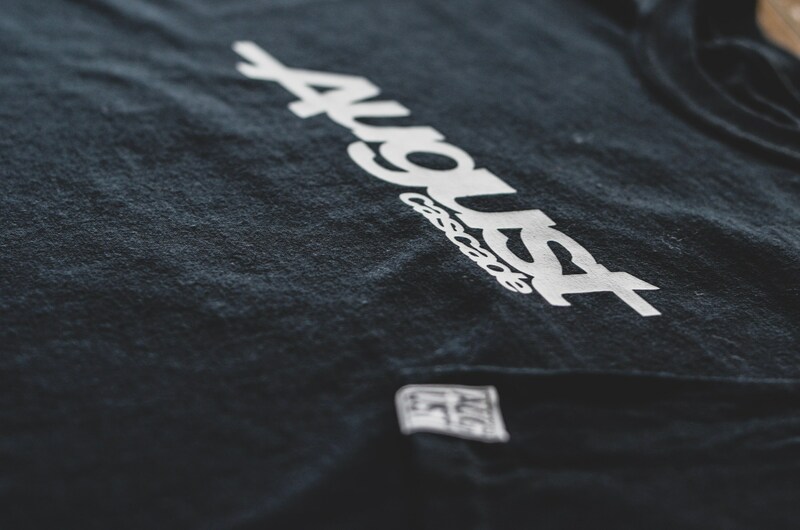 Made with a cotton/POLY blend in 5.3 oz.